Natuzzi Editions Domenico 5 Piece modular corner sofa with power recliners and power headrests on each end, the middle seats have manual ratchet headrests. 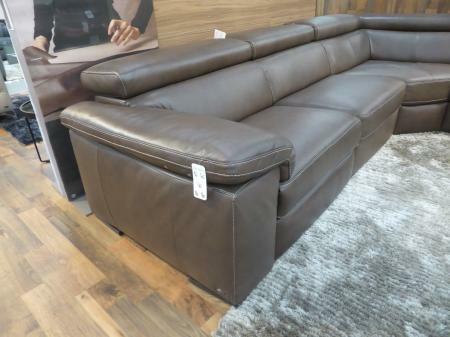 Upholstered in full soft Italian craftsman leather, this beautiful Italian designer corner sofa which matches comfort with style. Simple and slick with amazing comfort, a combination that will grace any living space. The middle seats are all modular which can be taken out or moved to left or right to according to your needs. 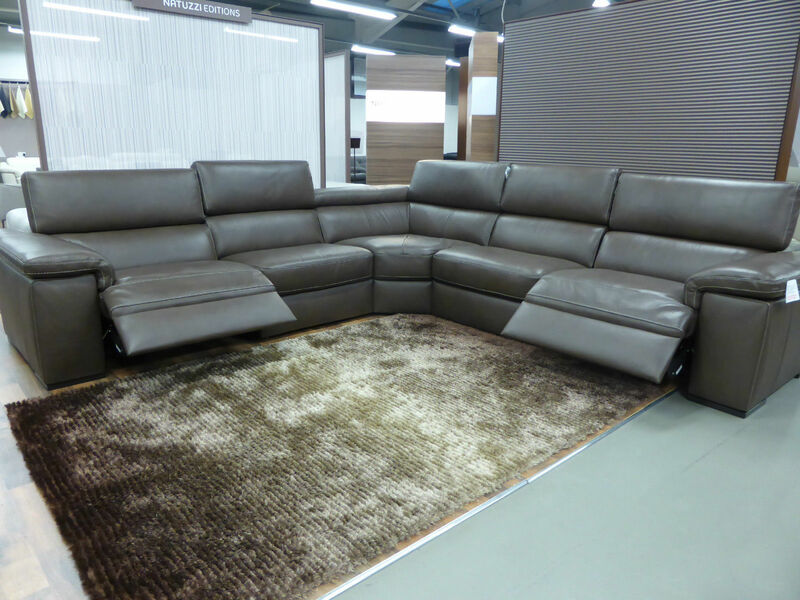 Another incredible bargain from the official Natuzzi UK clearance outlet. Corner measures: 327cm x 327cm x 100cm deep.